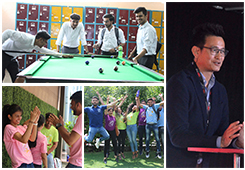 On 5th April 2014, amidst moments of joy and sorrow, FIIB juniors organized a farewell party to bid adieu to the outgoing batch of FIIB Delhi(2012-2014). 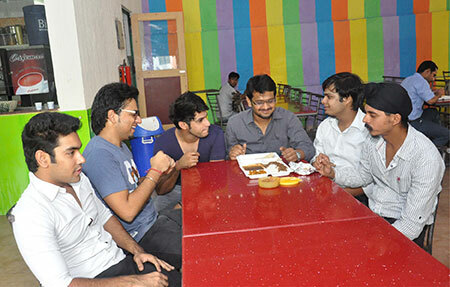 The Function was attended by junior and senior batches of the college along with Faculty and Staff members. True to FIIB Tradition, the function started with “Passing the Light”, a solemn ceremony to congratulate the outgoing management student for their hard work, to acknowledge and appreciate work of each student led club and committee, to award the best club of the ending academic year and to welcome the incoming MBA student council. During the ceremony a lighted candle, which is a symbol of responsibility is passed from outgoing council to the incoming student co heads. FIIB-ians welcomed the new Student Clubs Co-heads as they took oath to abide by their responsibilities that await them in the next academic year. 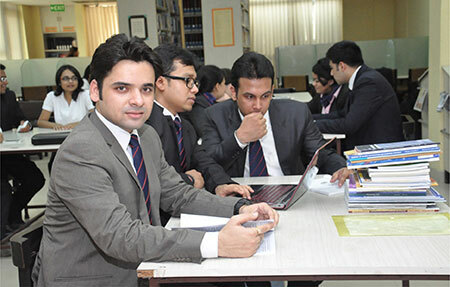 28 MBA students were inducted into the student council to head the 14 clubs and committees at FIIB Delhi. Cultural Committee was announced as the Best Club for the last academic year and Club Sigma (Operations) was recognized for its outstanding performance. The evening then moved to the colorful programs and performances hosted by the junior batch of the college. It included a band performance by Akash Sagolsem (1st yr MBA student), interactive games and conferring of titles especially thought out and personalized for each management student of the graduating batch. This was complimented by mementos and a batch movie, which made the audience surge up with emotional compassion. 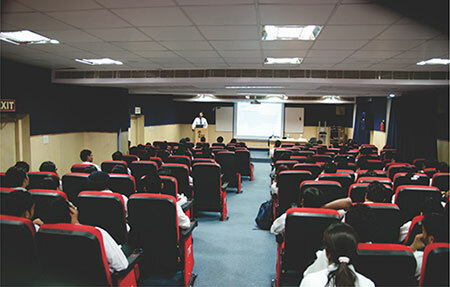 FIIB’s state-of-the-art auditorium can seat over 150 individuals and has provisions for video conferencing along with other ultra-modern technologies. 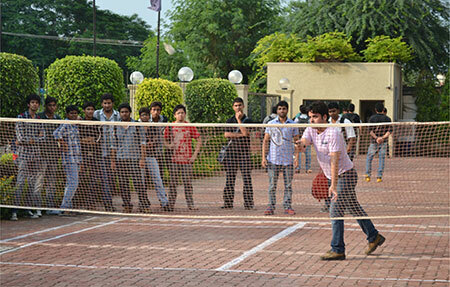 Students also enjoy the provision of multiple conference and seminar halls if required. A fully functional cafeteria serves sumptuous meals and beverages all through the day for the students to refresh and revive. Students not only enjoy the meals here but sometimes unwind sitting in the area over a cup of coffee. 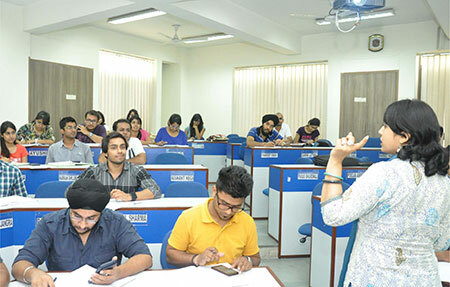 The state of the art classrooms at the Institute enhance the learning experience of students as they are equipped with the latest equipment including projectors, screens, options for video conferencing etc. 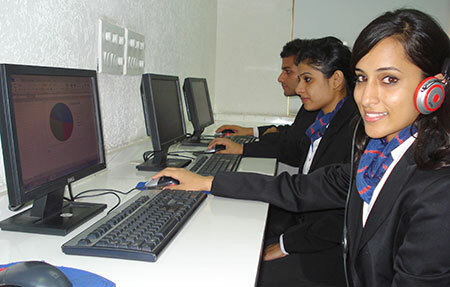 The campus hosts a state-of-the-art computer lab housing over 180 terminals and 200 laptops. The campus is Wi-Fi enabled. Online Learning and Teaching Software is also provided for flexibility and access to learning material at all times. 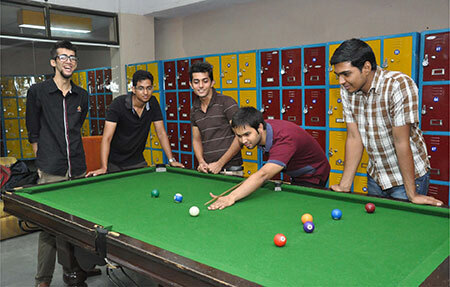 The recreational centre has arrangements for several indoor sports like pool, table tennis, carom and chess. These may be accessed by students during their breaks and can be used as effective recreational tools to relax. Students can access a fully computerized and air-conditioned library housing over 15,000 books, 195 periodicals/journals, 750 audio-visual and multimedia. The Library subscribes to major online research and informational databases. The recreational centre of FIIB provides its students space and opportunity to indulge in activities like indoor games and relax. 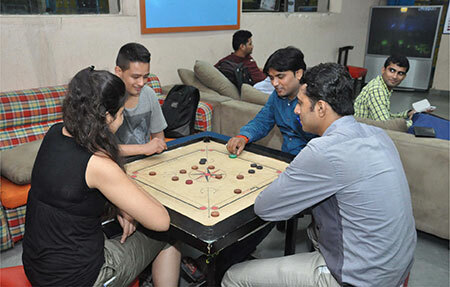 The Centre is outfitted with television, student lockers and various indoor sports like pool table, table tennis, carom and chess. Fortune Institute of International Business, Plot 5, Rao Tula Ram Marg, Vasant Vihar, New Delhi-110057.